Mini Clinics — Lifelines for Ayuda! Humane education at its best! Jaibalito Mini Clinic 18-Jan-12. And, we’re off! January was full of activities for both humans and animals in our region. Volunteers started off the year by meeting with newly elected officials to introduce them to our program and to ask for their support. We are happy to report that we now have pledges from several communities to work with Ayuda to solve their animal problems with humane solutions. Mini clinics are the lifeline to the communities in which we work. 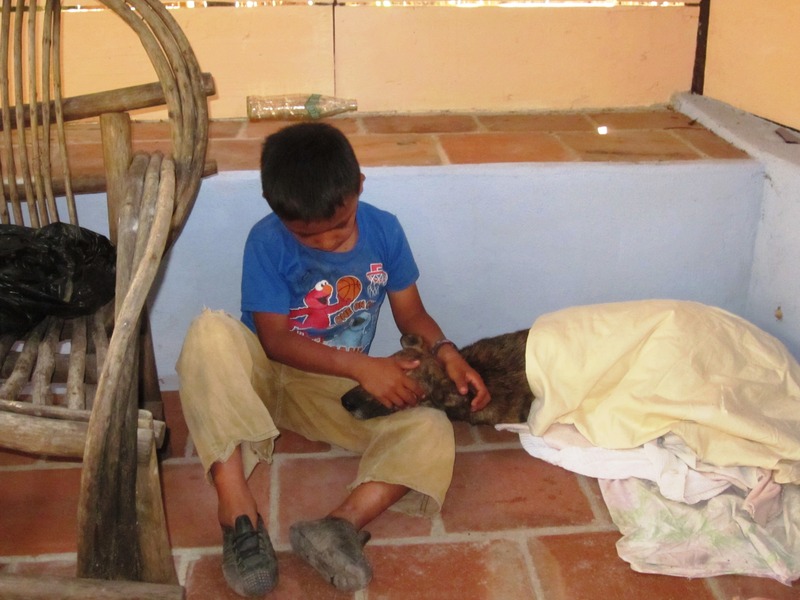 In addition to large-scale clinics which Ayuda facilitates with visiting groups such as World Vets, our routine mini clinics continue to be coordinated quickly with Guatemalan veterinarians and take place throughout the year. While the volunteer work of locals continues to be the backbone of Ayuda’s success, it is the volunteers in the remote villages who extend the footprint of that success. We have been very happy with the increasing numbers of volunteers in many of Lake Atitlan’s remote indigenous villages. Their valuable presence and efforts so greatly help to monitor their villages’ dog and cat populations, encourage sterilization with their fellow residents, plan and schedule animals for sterilization clinics, and help with basic healthcare. 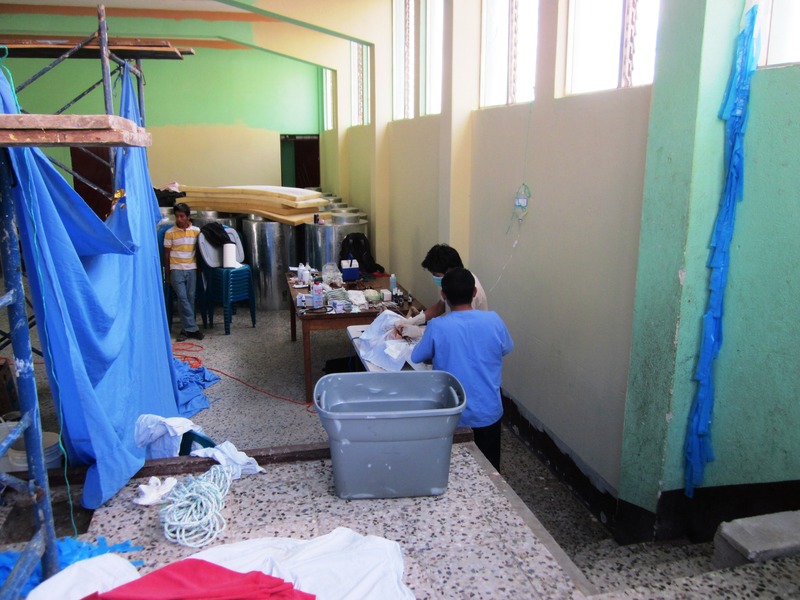 Villages with active volunteers typically host an Ayuda sterilization clinic as their number of surgical candidates reaches 10. During the month of January we held mini clinics in Panajachel, Jaibalito and our first in Santa Cruz. We’ve already heard that the list in Santa Cruz is nearing the magic number 10, so it’s time to schedule the next one! Now for a bit of serendipitous news….. Who remembers Maya, Charo, Ria and Brigitte? You may recall that we managed to capture Ria for sterilization but the other 3 females eluded us for months. No one could get a hand on them. We tried oral tranquilizers — no go. We tried nets, blankets, catch poles — no go. We debated using the blowpipe but decided that it was way too dangerous because of their proximity to traffic. It seemed hopeless. Here’s the great part of the story: Christine and Madison’s house is just over the bridge from where the pups were born. Of course, the babies cried some during the night. After a few nights, Mother Maya broke into the backyard to get to her puppies! The next day, Charo followed suit! So after all this time trying to capture the “bridge girls”, Maya and Charo have been living comfortably with Christine and Maddie while taking care of their babes. Oh, and Ria decided to join them!Maya, Charo and the 3 oldest female pups are scheduled for surgery next weekend at a Pana mini clinic. It will be so great to finally resolve this nagging issue. 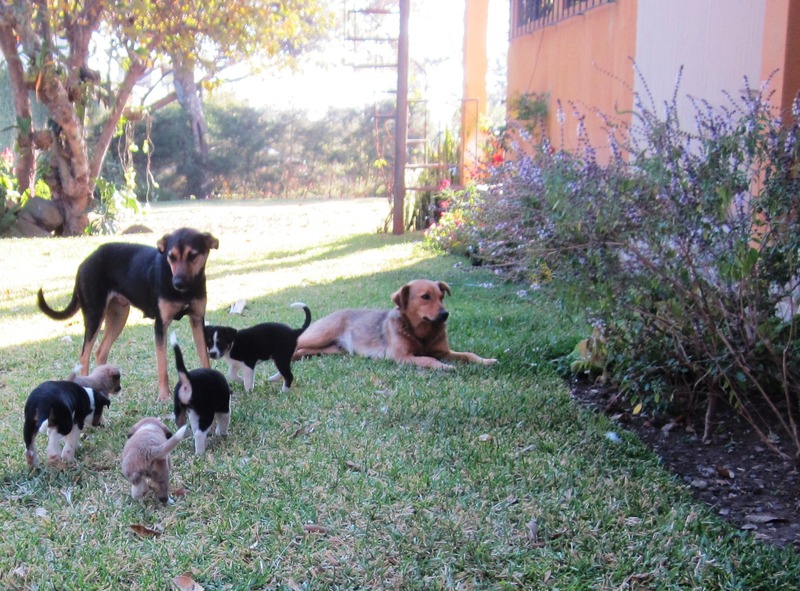 We’ll all sleep better knowing this family is sterilized, healthy and safe. Thank you to all of our dedicated Ayuda! Volunteers!! !